Al Ain Dairy Company has launched a new range of ice creams made with fresh camel milk, according to a report in Hotelier Middle East. Announcing the launch at Gulfood, Kingston Fernandez, head of sales at Al Ain Dairy said the product had been created in six flavours including chocolate, vanilla, and cardamom and was being launched in supermarkets from February. 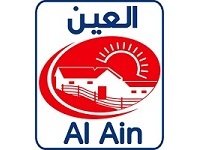 Al Ain had previously revealed its intention to launch a camel milk ice cream range at the SIAL exhibition in France in October. Commenting on the rollout of the range, Mr Fernandez added: “There are a lot of enquiries already from countries like Singapore, Malaysia, and Indonesia, plus a few inquiries from African countries like Kenya and Somalia, so initially the products will be exported to these countries. That will start in three to four months from now. We are still waiting for the European certification, and subsequently, it will also be exported to Europe as well”.